Simple solution to a big problem, no need to buy a expensive radio system for your military vehicle just to add intercom facilities between the driver and commander. The system can work with or without a radio system. Duplex voice communications is possible. 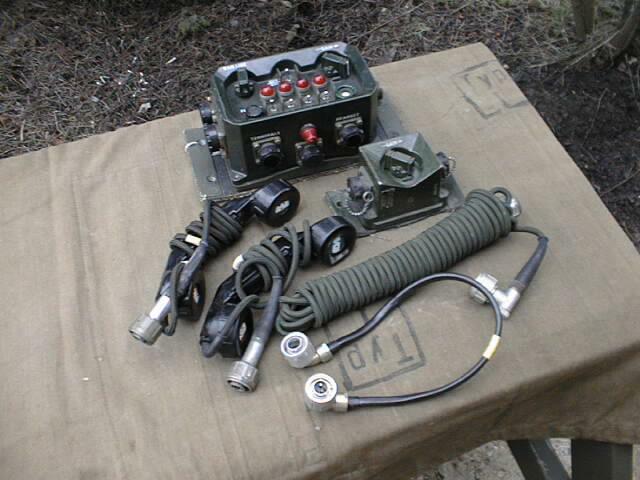 Can interface to Larkspur Vehicle Radio equipment such as C-13, C-45. Works on 24 VDC. This kit is available in limited numbers and contain the following.1* Interconnecting Box, Gun Control / Audio Amplifier2* Hand Sets or Headsets or combination. (Please Ask)1* Power Cord, 2 Pin Larkspur type connectors.1* Remote Junction box, with audio gain control.1* Connecting Cord 9 meters.